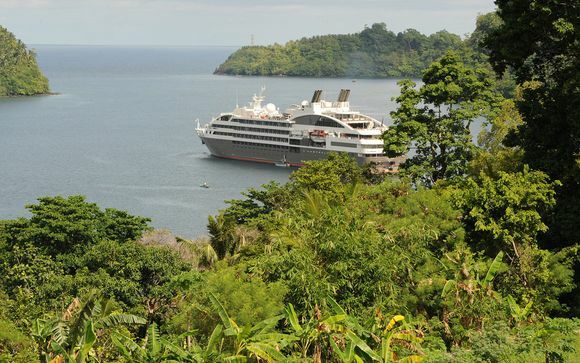 Booking to Bali up to -70% off To take advantage of these offers, join now for free! Looking for your dream Bali holiday? Here are the best places to stay in Bali and all the things you need to see and do while you’re there. The SereS Springs Resort is a haven of tropical delights, offering the height of luxury in the perfect location. Sitting on the beach, the resort has a spa, fitness centre and four restaurants to enjoy. The hotel is filled with decor and ornaments curated from the local area and from every window there is a magnificent view of rice fields and waterfalls. Lembongan Beach Club and Resort is the perfect place to unwind in the tropical heat and delight in local cuisine and hospitality. The resort has 54 private villas, making this the height of luxury. Perfect for romantic breaks, the resort is situated on the beach and has an infinity pool with bar and restaurant that are perfect for watching the Balinese sunsets. 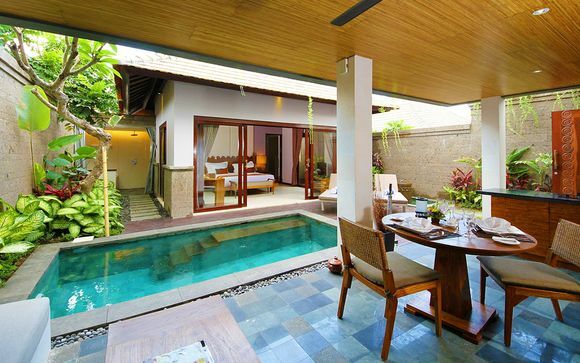 The Club Villas Seminyak is the perfect location for honeymooners and couples wishing to explore Balinese culture while enjoying perfect luxury. The 35 private villas have their own swimming pools and gardens so that guests can enjoy complete privacy during their stay. Within easy walking distance of all the best local shops, restaurants and bars, this is the perfect place to explore the best of Bali. Our reviews on Bali and its hotels: why make your booking there? 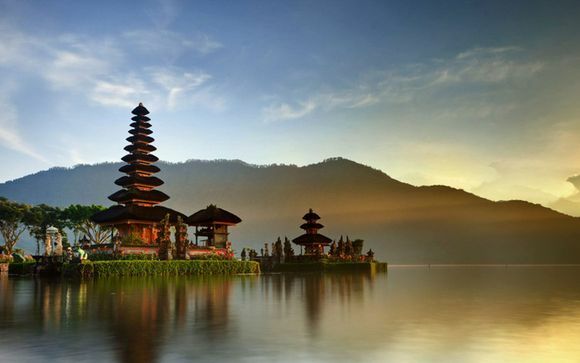 Bali has long been known as one of the happiest and most spiritual nations on the planet. Finding fame from films such as Eat Pray Love, it has become the ultimate holiday destination for those seeking peace, tranquility and romance. Explore the seemingly endless beaches, enjoy the rich culture and history and view some of the most beautiful natural landscapes in the world. Sample local cuisine before strolling along golden beaches and unwinding to the sound of local Balinese music. This is the perfect place to relax entirely and let go of hectic, everyday stresses. Families are also welcome in Bali, where the smiling people love children and families and have plenty on offer for younger visitors too. Consider the Bali Treetop Adventure to keep the kids happy and to make them the envy of all of their friends. As you clamber through the trees you'll see some of the best views in Bali and it's a great way to bond with your kids and create memories that will last a lifetime. Trekking Mount Baatur might sound like a strenuous way to spend your holiday, but climb the mountain in time for sunrise for a truly romantic experience. Looking out over the unbelievable landscape, it is well worth the climb and seeing the sky light up in shades of orange and gold is an unforgettable experience. Travelling alone can be a truly rewarding experience but it can feel stressful at times. Consider taking a yoga class or relaxing at one of Bali's many beach resorts to unwind. There are plenty of opportunities to explore but give one of these more relaxing pursuits a try to get a real insight into the Bali way of life. When you book your Bali trip with Voyage Prive you'll not only have the pick of the best hotels and experiences with the chance of up to 70% off your break, but you'll also have the 24-hour support of our travel specialists through the app. Book now to find up to date deals on Bali tours at the best hotels and beach resorts at the best prices around. No Bali offers available today? Create an alert to be the first person to hear about upcoming Bali holidays. 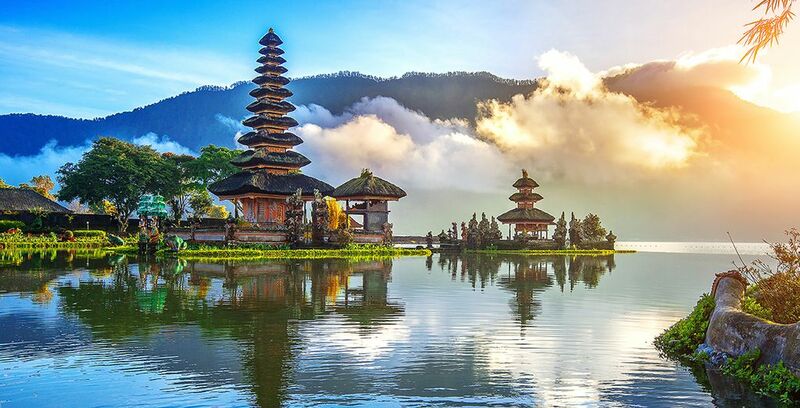 As well as the amazing beach resorts, endless golden sand and glorious sunshine, there are some amazing places to visit and explore while you are in Bali. 1. Kuta is the liveliest part of Bali. The area is full of shops and bars as well as fantastic hotels. 2. 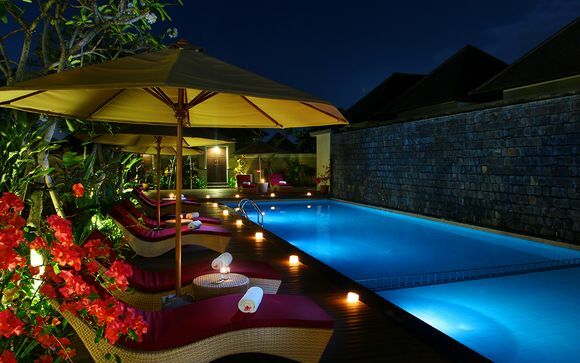 Seminyak is the most fashionable district in Bali and is the perfect location to find a stylish boutique hotel. 3. 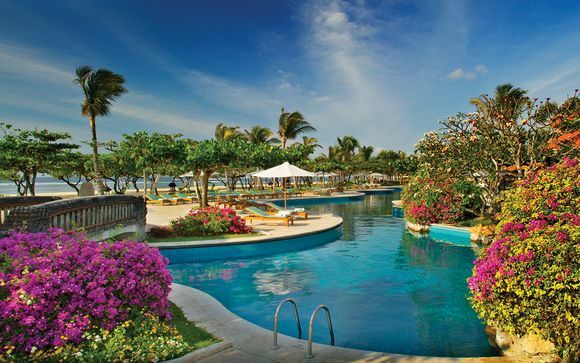 Nusa Dua is the place to be for high-class travellers with a range of golf courses and spa hotels to choose from. 4. Ubud is a great escape from sand and sea. The mountainous region is the epicentre of culture and arts on Bali. 5. Jimbaran Bay is the ultimate surfer's paradise with fantastic waves and glorious beaches. 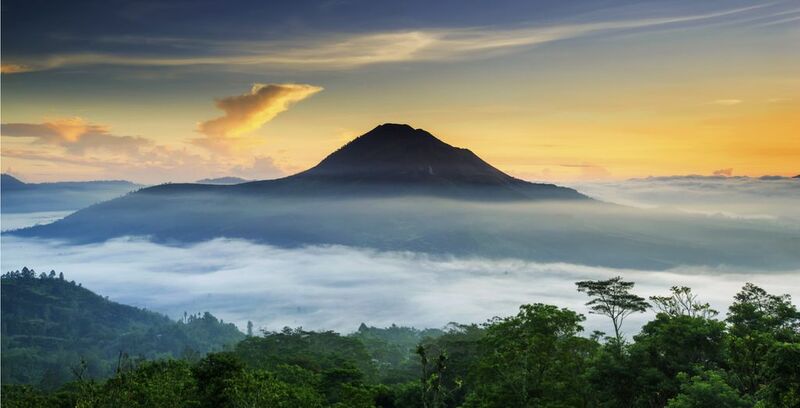 Bali is far more than sand and sea, this changeable country has plenty to see and do. Make the most of the varying topography and the friendly people when you visit. 1. Ubud Monkey Forest - this bustling town holds a whole host of tourist attractions and our favourite is the monkey forest where you can get close to the local animals and feed monkeys. As well as being an important location for scientific research, the forest is a site of spiritual importance and is a fascinating stop on your tour of Bali. 2. Tanah Lot Temple - Tanah Lot is the island's most iconic temple. Perched on top of a rock in the middle of the ocean it is a feat of human determination as the waves constantly crashing into its foundations. It is one of Bali's most important sea temples, paying homage to the guardian spirits of the sea. It a true sight to behold and particularly worth a visit at sunset. 3. Ubud Art Markets - another fantastic spot in Ubud, the art markets offer the best in local crafts and art. Search out a bargain as you embrace the local culture and are welcomed by the friendly Balian people. The market is open daily and you can find souvenirs such as silk scarves, original artwork and woven bags and baskets, perfect to remember your holiday and treat loved ones at home. 4. Bali Safari and Marine Park - Make the most of being in an exotic location and visit local animals at the Bali Safari and Marine Park. This is a fantastic place to visit for all ages and children and parents alike are sure to enjoy seeing animals in their natural habitats. 5. 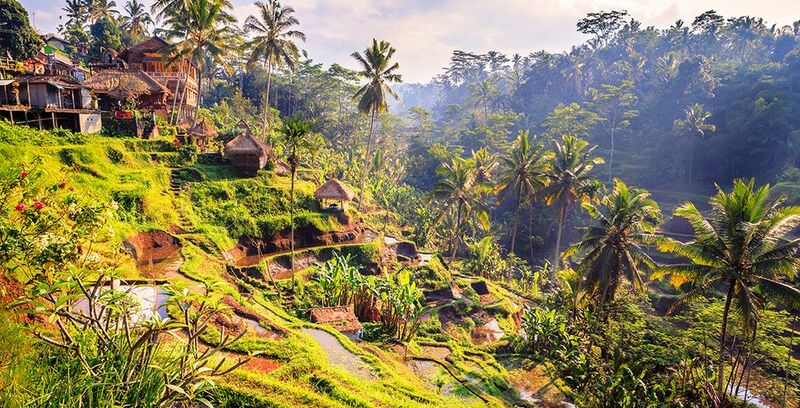 Jatiluwih Rice Terraces - Nothing has been more integral to the local culture than the Rice Terraces of Bali where local farmers grow one of their most prized crops. View the extraordinary fields from above to take in just how expansive the Rice Terraces of Bali really are. The fields not only offer cultural insight, but some of the best panoramic views on the whole island.